As we know, Windows Media Player can accept most of popular video formats but FLV is with no luck, even for Windows 7. The tutorial will show you how to play FLV videos in Window Media Player in a simple way. 1 Supported video formats for Windows Media Player: ASF, WMA, WMV, AVI, MOV, MP4, MP3, MPEG, RM and more. As you see, Windows Media Player can not handle FLV format, even if the FLV format has becoming more and more popular video format over the Internet nowadays. Do not worry. There are three solutions provided to make Windows Media Player play FLV freely. Download a suitable codec for the specific video formats instead of just randomly downloading codecs with the hope that one of them works, I’d recommend downloading a codec tool that will analyze your particular video file and tell you exactly what codec(s) you’ll need to play the files. Here is a free tool that will do this for you: Gspot (http://www.headbands.com/gspot/). This will tell you what codecs you need to get the particular file running properly without making you download anything that you don’t need. A lot of times codecs can conflict with one another, and overloading your system with a whole them is never a good idea, and having multiple amounts of them on your system can sometimes cause more harm than good. Use Pavtube FLV Converter with CUDA support to convert FLV to WMV, FLV to AVI, FLV to MOV, FLV to MP4, etc. which are acceptable by Windows Media Player. With this way, you can freely watch FLV video content in Windows Media Player. Moreover, the Pavtube CUDA FLV to Video Converter tool has the batch processing function allowing to easily convert lots of FLV files to Windows Media Player within a short time. In "Edit" tab, there are four boxes to edit FLV. a. Clip: Trim and crop the video. b. Effect: Adjust the brightness, contrast and volume. c. Logo: Add the image watermark to the video. d. Text: Type in the words as the text watermark. Specify the output format to WMV in "Export format" and choose the location for the output folder in "Export to…" box. If you want to change the video/audio parameters, you can click "Settings" tab. 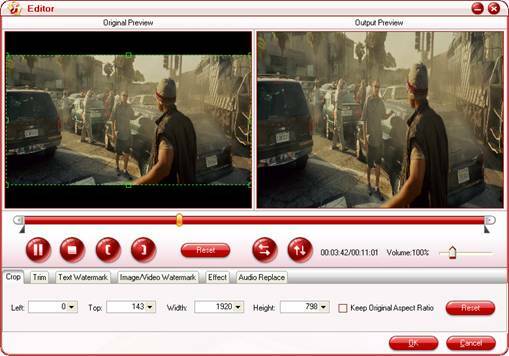 There you can adjust the bit rate, frame rate, frame size and more parameters. Click "Convert" tab and hit "Start" icon. The recoding will begin. You can find the output WMV files where you specify the location. Here import WMV video files to Windows Media Player to enjoy them. 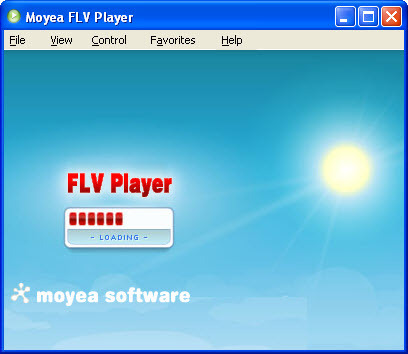 Third - Install Moyea FLV Player to view FLV files. If you are not satisfied with these two methods above, then you can enjoy FLV in FLV Player directly and give up Windows Media Player. With this player, you can view FLV with full screen, see the related FLV information and Capture a picture as the thumbnail. Regardless which solution you choose, it is so easy to enjoy FLV on your PC. Hopefully you can enjoy FLV videos for great enjoyment. How to Convert FLV to MP4 for Playback on iPod? How to Convert Youtube Video FLV to MPEG for Playback on your Samsung BDP-1400 Blu-Ray DVD Disc Player?